Under any other circumstances, it’s hard to image a performance by 1992 one-hit wonder Rozalla as being indicative of a city on the up. But that’s just what happened in Dundee on Saturday. Thousands of people attended the Dundee’s first-ever Pride march, where the singer performed, bringing a carnival atmosphere to the city centre. Down at the Waterfront, thousands of people trooped in and out of Slessor Gardens to see the Maggie’s Penguins in all their glory. And, one week after it opened, there were still lengthy queues outside the V&A. Meanwhile, developers are looking into the possibility of turning the Mecca Bingo on the Nethergate into a state-of-the-are concert hall, capable of holding more than 6,000 people. Twenty years such a proposal would have seemed ludicrous, now it seems tantalisingly achievable: there is no similarly sized venue on this side of Scotland and if you were an artist on tour, wouldn’t you want to play in a brand spanking new venue in a city as exciting as Dundee? But where are silver linings there are always clouds and this week those took the form of murmurings that the UK Government may halve its expected contribution to the Tay Cities Deal. Councils want a minimum of £400m in total from both governments to fund projects such as transport improvements and investment in businesses and the arts. But apparently only £120 million worth of projects have so far been approved by the UK Government, claiming many of the proposals put forward do not qualify for government funding. As the Scottish Government is only expected to match the contribution made by their UK counterpart, it could leave a £160 million black hole in funding. 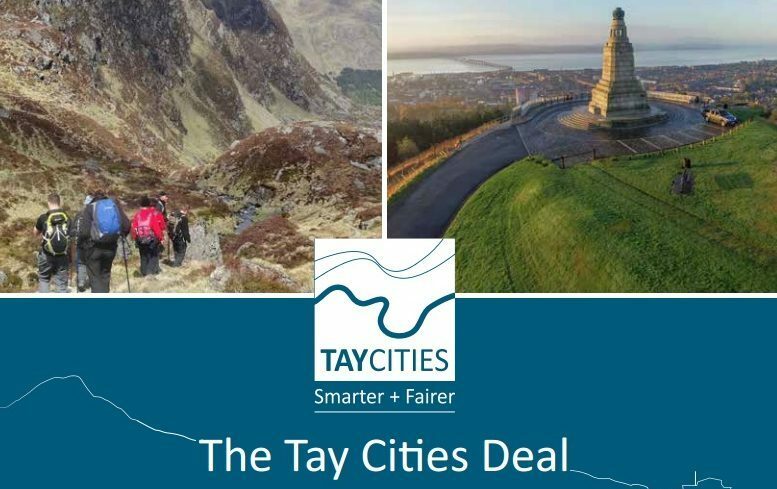 The Tay Cities Deal was first discussed in 2014 but the region is still waiting to find out what vital funding it will actually receive. Meanwhile, many of the projects that submitted bids as part of the deal process are in stasis as they wait to find out if they will actually get an money. Businesses, we have been told both during the independence referendum and Brexit vote, hate uncertainty. If we want to attract further private sector investment, and therefore jobs, then there needs to be clarity over the Tay Cities Deal as soon as possible. Both the Scottish and UK Governments have a responsibility to thrash out a deal – as full and as fair as possible – before opportunity and momentum is lost.